“I’d love a sample…” We love interacting with Squatch Nation, whether we’re chatting with Soapscribers or meeting a potential fan for the first time. Many of our first encounters involve a request for Dr. Squatch samples, and we thought we’d share why we don’t mail out product samples. We understand you want to smell our soap before buying it — honestly. We provide the most complete description of our scents we can in words, but we get how much you want to just get a whiff of what you’re buying. If we could, we’d offer a scratch ‘n sniff version of our site, but we don’t expect that technology to be in effect until at least 2052. But there’s so much more to our soap than the way it smells! 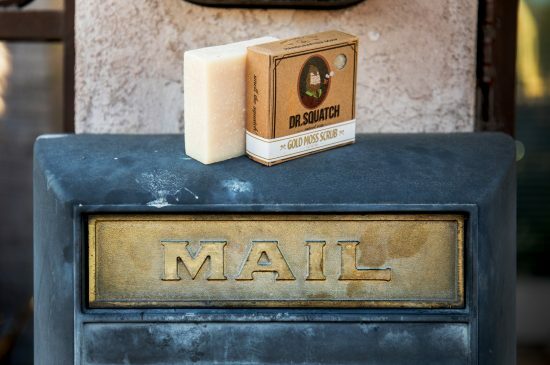 The level of exfoliation combined with our oil blend truly make up your Squatch soap experience, and ordering based on scent alone won’t necessarily result in ordering your favorite soap. We’ve received countless comments from customers telling us a soap they almost didn’t order because of the scent profile ended up being their favorite, because of the level of exfoliation and how the bar felt in the shower. Sure, we like to picture every new Squatch customer emerging from their first shower with perfectly nourished skin and an appreciation for the lingering scent of eucalyptus. 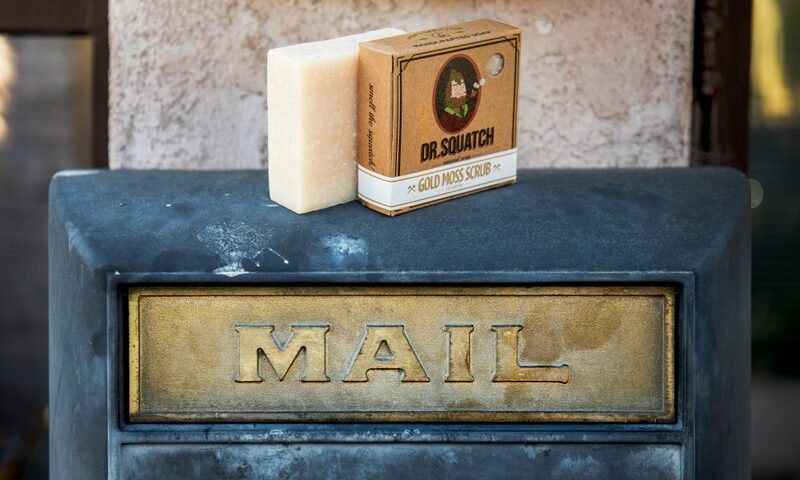 In reality, it might take a few showers to figure out how to best make Squatch soap work for you. Do you like it best on a wash cloth, with a loofah or simply in your hand? Does your skin respond better to a bar with strong exfoliation or one without any at all? We don’t think the few showers you’d get from a small sample give you the chance to experience the full benefits of switching to our natural soap. Why switch to natural soap? We’re glad you asked! Check out the benefits of natural soap. We considered samples, and we toss around the idea every once in a while because you do ask about it. And we want you to feel comfortable trying Dr. Squatch products. Besides thinking you’ll have a better Squatch experience with a full bar, we find the logistics of Squatch Samples complicated both our end and on yours. Some potential customers ask about slivers of soap, just so they can smell our different scents. Others want a solid chunk of a bar to take into their shower. Those two requests involve different processes to break up the bars, to package and to ship. Quality matters to us, and we would hold our sample products to the same standards as our full bars, hair care, shaving options and cologne. We would never want to throw a few slivers of soap into an envelope and mail them to you without consideration given to the temperature changes involved in shipping and how the envelope would hold up smashed between a birthday card from Grandma Squatch and that giant package of coupons that never seems to have anything you need in it. No one likes to talk money, but we might have to, just for a minute. Shipping costs and sample costs add up. We feel unfair asking you to pay shipping on a “free” sample, but until we figure out a way to magically ship through space and time, shipping does cost money. The cost of the soap, the time spent shaving samples, packaging samples and shipping them all over adds a level of expense to our operating budget, which eventually trickles down to our customers in one way or another. We dig being able to provide you with a high-quality product at a fair price. We want you to feel like you’re paying for the soap you’re getting, not a bunch of samples you’ll never see. We committed to a money-back guarantee on our products when we started Dr. Squatch. Customer satisfaction ranks highly on our priority list. Putting an awesome product out into the world only matters if the people using it — you! — feel good about the quality and value of what you buy. We believe our guarantee gives people the chance to fully experience our products while having the option of a refund if we don’t live up to their expectations — and that experience can’t be replicated with a sample. Take our Soap Quiz to find the right scent and exfoliation level for you! Previous Post Save Your Soap! 3 Tips for Shower Nirvana!